Please note that the content of this book primarily consists of articles available from Wikipedia or other free sources online. 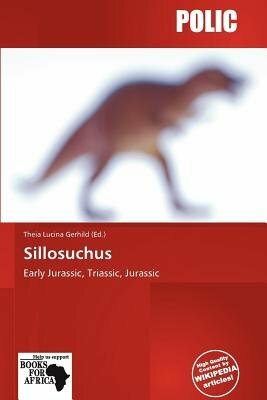 Sillosuchus is a genus of poposaurid crurotarsans from the Late Triassic of Argentina. The refers to Dr. William Sill, and "suchus," from Greek meaning crocodile. A reconstruction of the fossil was presented in 2008 by the National University of San Juan in Argentina, in an homage to Dr. William Dudley Sill who was an important promotor of paleontology in San Juan. Sillosuchus is the only poposaurid currently known from outside North America. Other members of the clade include Shuvosaurus, Poposaurus and Effigia.